I was afforded a quick demo of the game during [GDC] 2019 and absolutely loved it. I felt like I was playing QWOP with a robotic head. The controls are quite challenging: you move the mouse about to adjust the shape of the android’s lips and the WASD keys to maneuver the tongue to depress one of three vocalization buttons within its mouth. What’s more, you’re doing all of this in as close to real-time as you can so that the NPC you’re speaking to doesn’t become suspicious. 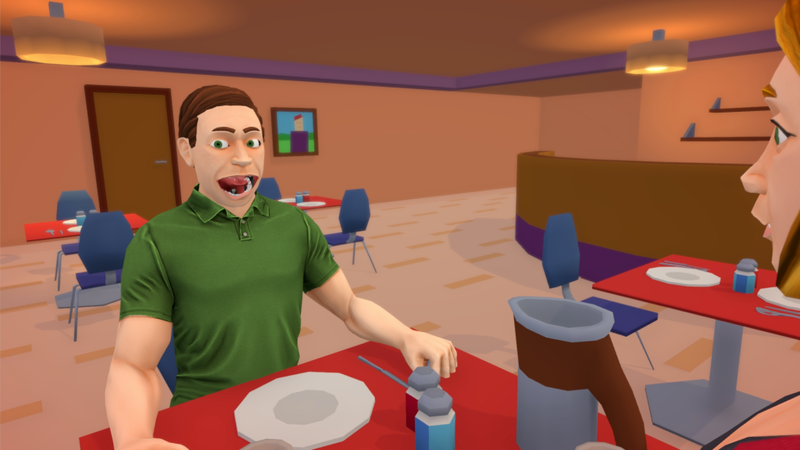 Speaking Simulator will be available later this year on PC in English. Check out the full Engadget article here and visit the Affable Games official website for more information. This entry was tagged affablegames, androids, Engadget, GDC, gdc2019, indie, indie game, indie games, PC, PC Gamer, pc gaming, physics, speakingsimulator, steam, totallynormal, video game, video game pr, video game pr agencies, video game pr agency, video games, videogame, videogames, windows. Bookmark the permalink.